I’ve had an amazing time since 2013 being my own boss. After INE I wasn’t exactly sure how things were going to go but I knew that I had some ideas and that I could probably do just fine independent of any single organization. For a short time Global Config Technology Solutions, Inc. became a Cisco Learning Partner and we sold a few courses. I quickly found that I didn’t have the resources to devote full time to that venture and that my efforts would best be spent elsewhere. From that point on I focused on becoming a content development company and we started making more Pluralsight videos as well as videos for Cisco through another Cisco Learning Partner that I’ve worked with over the years. That was fun! I continued to blog, though not as often as I would have liked. About two months ago I started talking to Riverbed about an opportunity that would change my day-to-day dramatically. I’m happy to say that as of Monday I am now a Senior Technical Evangelist with Riverbed. I’m excited about this new chapter in my career. 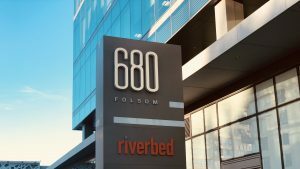 I’ve had an appreciation for Riverbed’s vision and their products since I met them at ONUG Spring 16 as a Tech Field Day Extra Delegate. I’ve been using Riverbeds SteelConnect SD-WAN Solution at Global Config Technology Solutions, Inc. for some time and most recently I’ve deployed a few Xirrus wireless APs. I know there are great things to come and I’m looking forward to sharing what I can with the community, showing new ways to do things in data networking and highlighting the possibilities and integrations that I discover along the way.